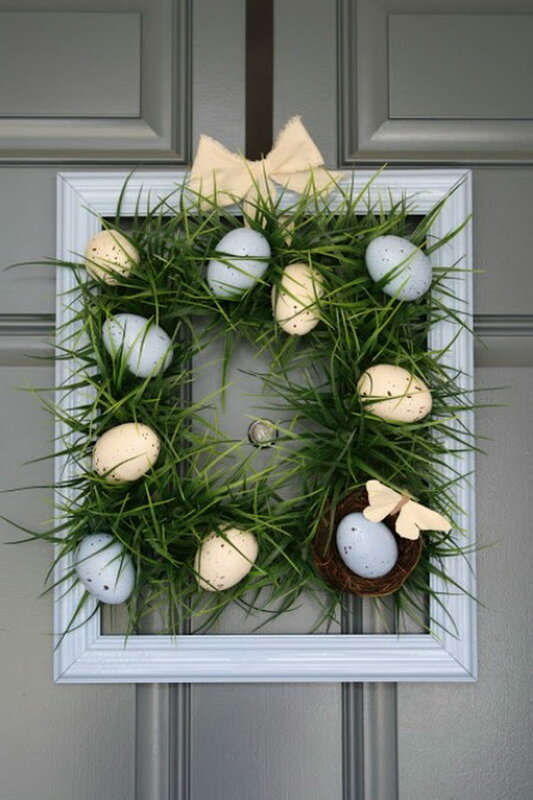 It’s spring and Easter time! Time to celebrate them both with some beautiful home decorations. 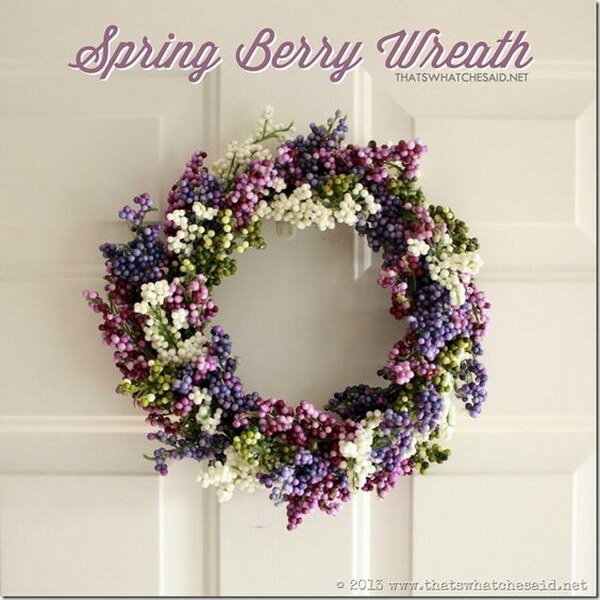 Nothing is more evocative of the warm and cheerful time than a beautiful homemade wreath. 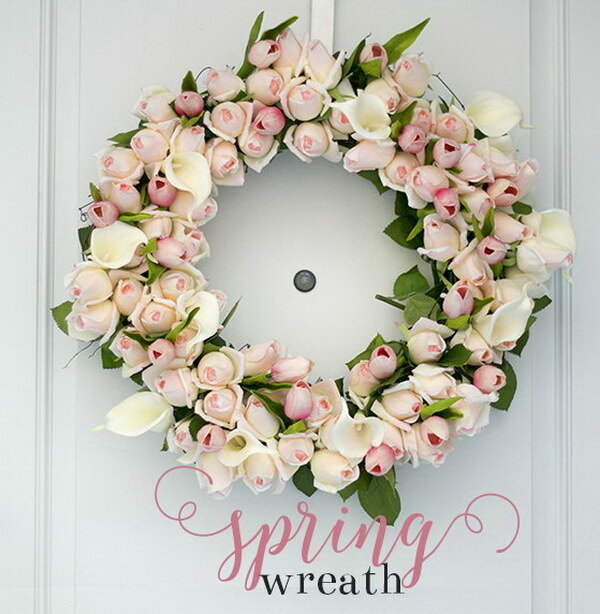 If you are looking for ideas to make your home look beautiful, fresh and colorful, check out this list of beautiful Spring and Easter wreath ideas for you. 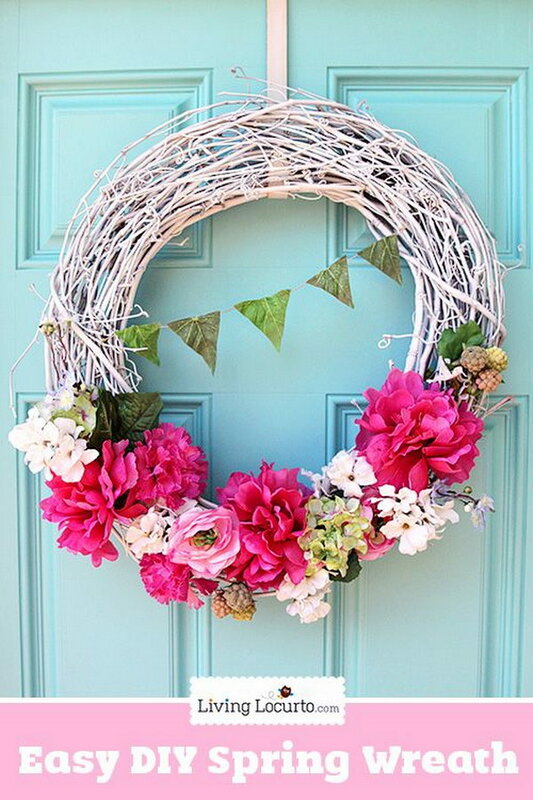 These pretty and versatile wreaths are made from a wide variety of materials that you can find in your house such as flower, paper, Garden Hose, pom pom, Burlap and Umbrella. Furthermore, many of them have step by step tutorials and are easy to make. 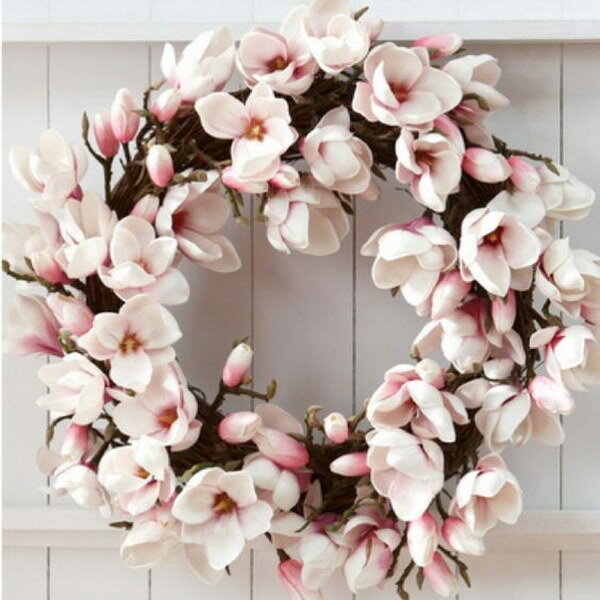 These spring and Easter wreaths will surely add more fresh style and cheer to your home decoration this holiday season! 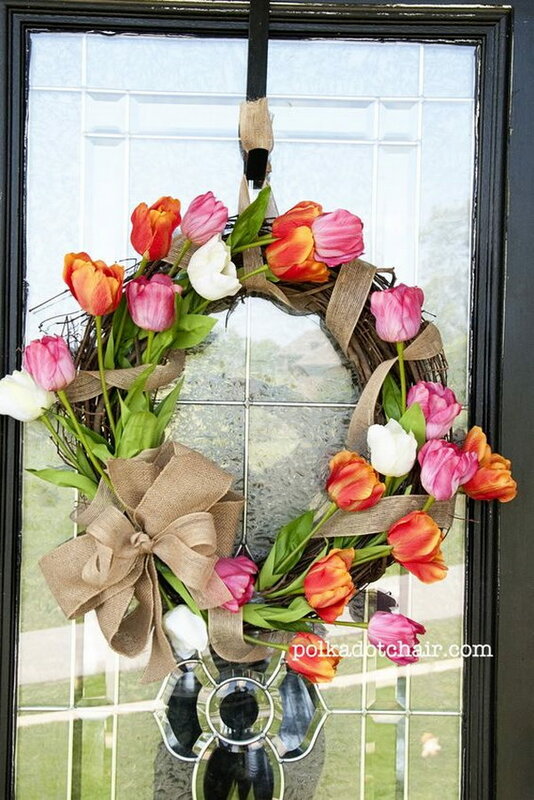 This beautiful tulip wreath might look complicated but it is SO easy to make. 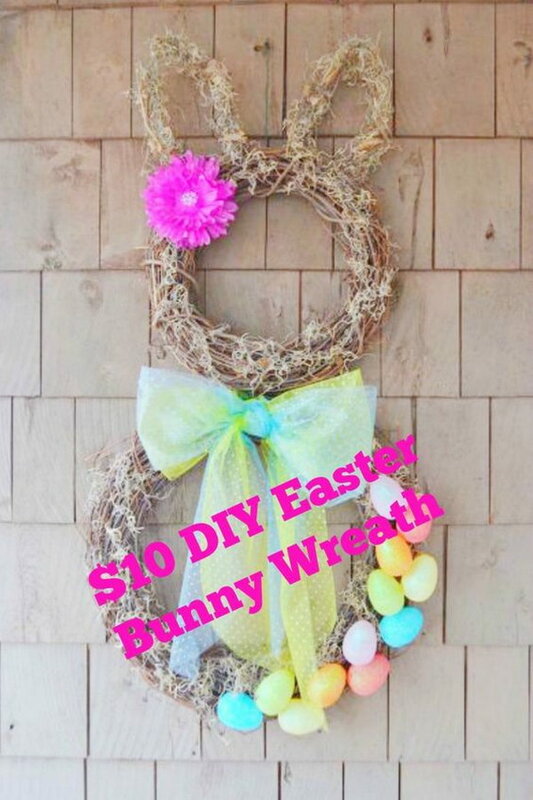 Just grab a goodwill wreath and your glue gun! Get the tutorial via fromthefamilywithlove. 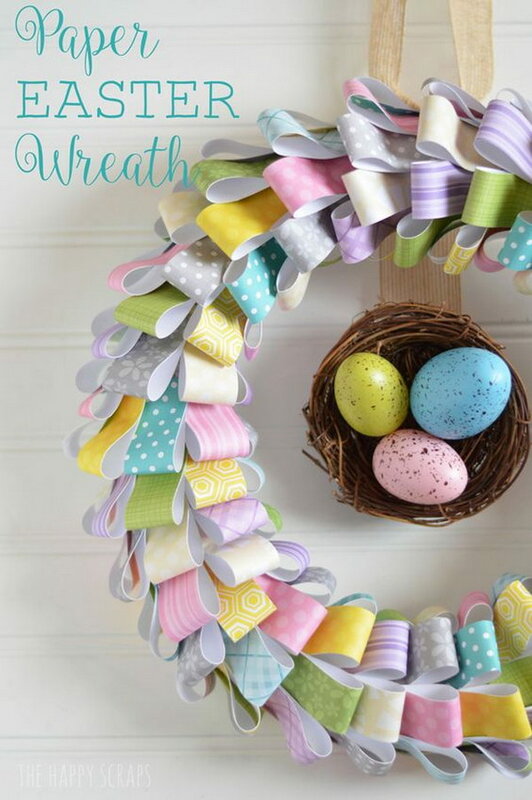 Make this beautiful, super stylish, festive wreath with this incredibly easy simple paper flower tutorial. 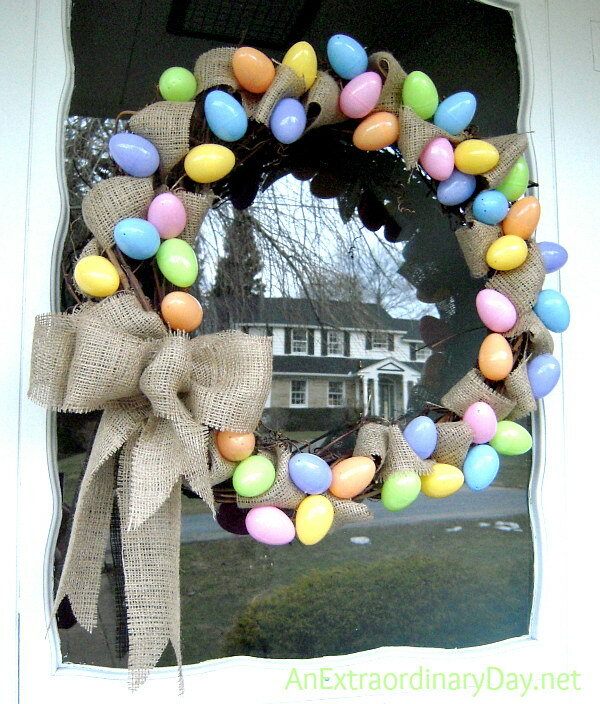 Great decoration to brighten up your easter walls. Get the tutorial via orientaltrading. 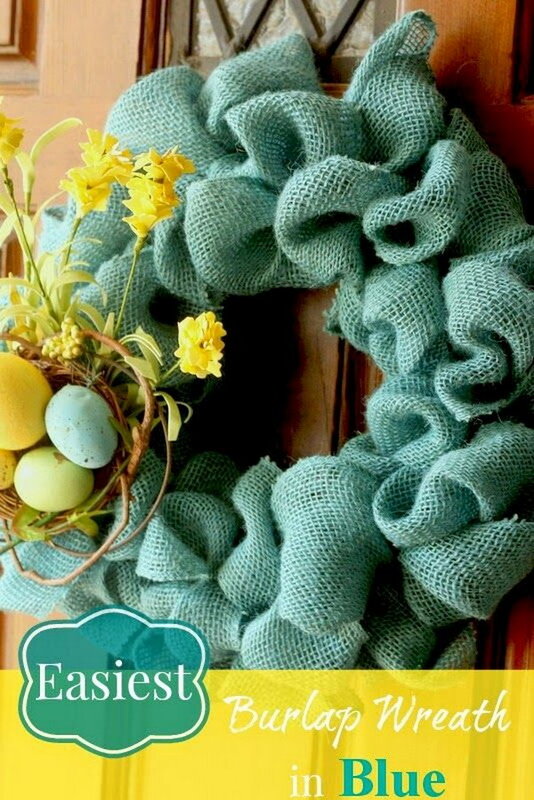 Check out the step by step tutorial for this adorable wreath for Easter or spring via thehappyhousie. Easter brings new life and hope. 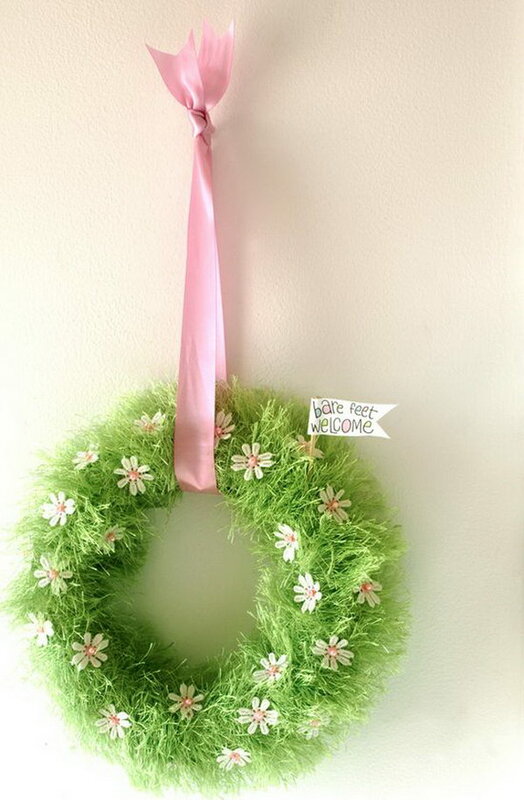 Make a stunning hope Easter wreath sign to add to your Easter decor. Get the tutorial via cheeriosandlattes. 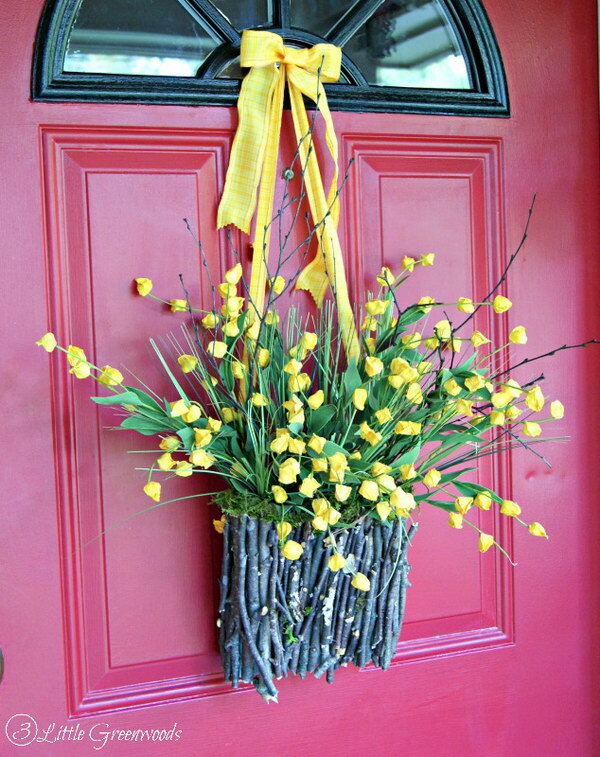 Use folded birch planters to create this unique take on a stunning spring wreath. Get the easy tutorial via designertrapped. This is perfectly cute! 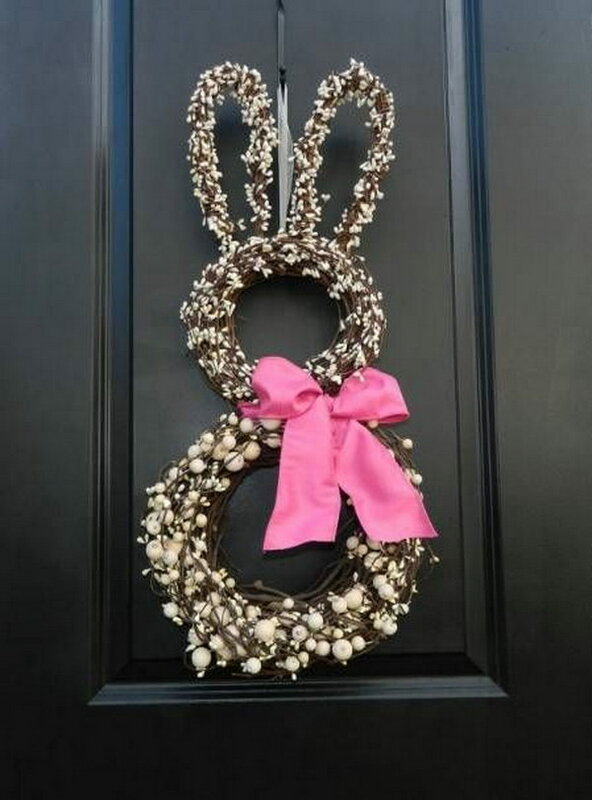 Bunny wreath is great for you to hang on the front door. Via etsy. 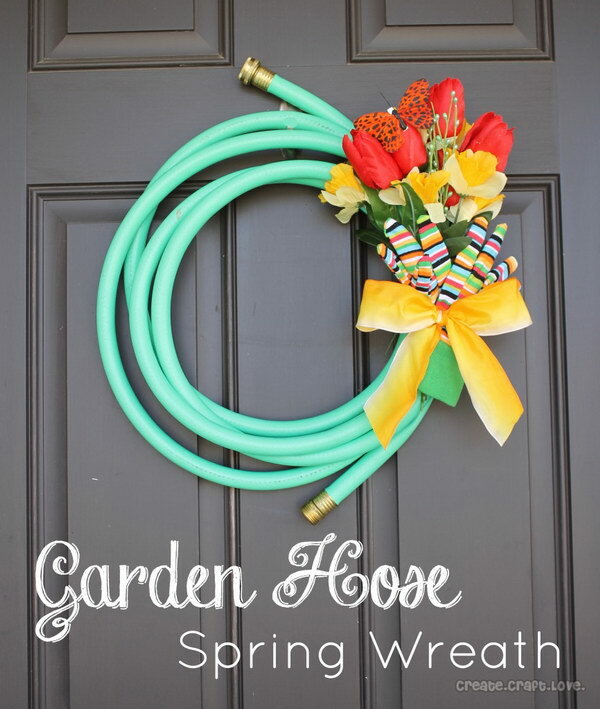 Say hello to spring with this creative pastel colored garden hose wreath. Get the tutorial via createcraftlove. 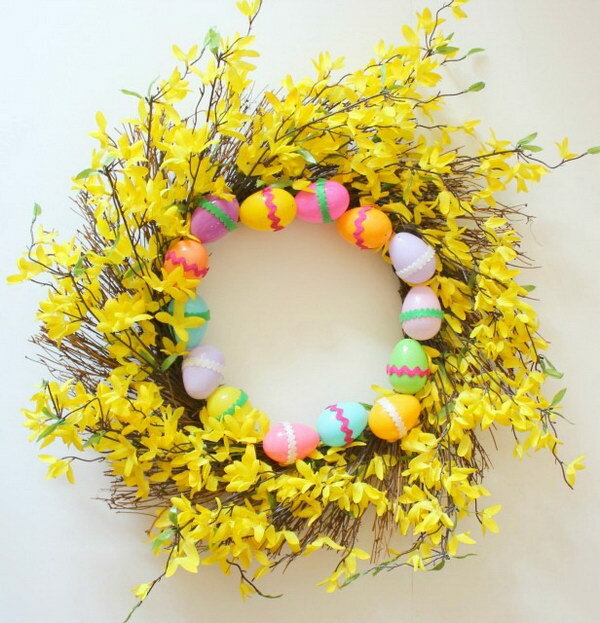 Spring up your décor with this beautiful spring wreath with realistic forsythia and Easter eggs. Get the tutorial via designimprovised. 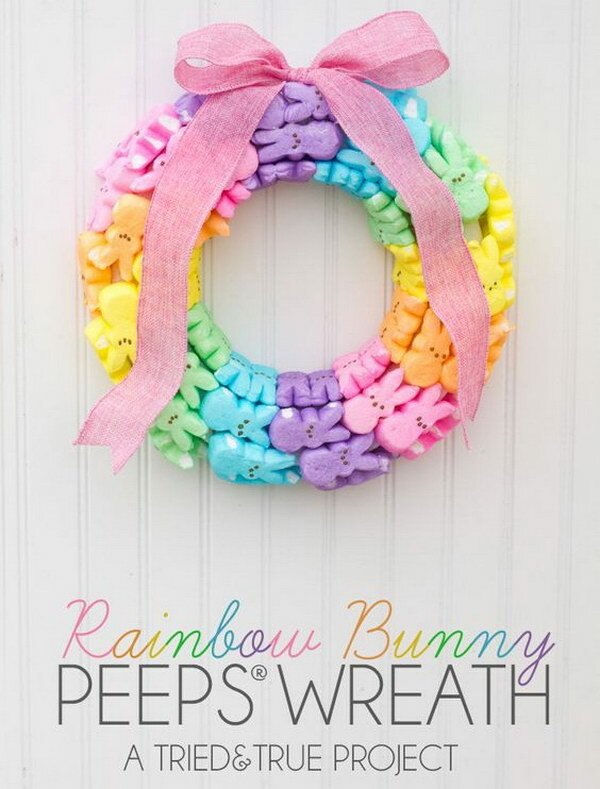 Just spray some clear varnish over your dried out peeps and make this beautiful rainbow bunny peeps wreath to welcome your guests. 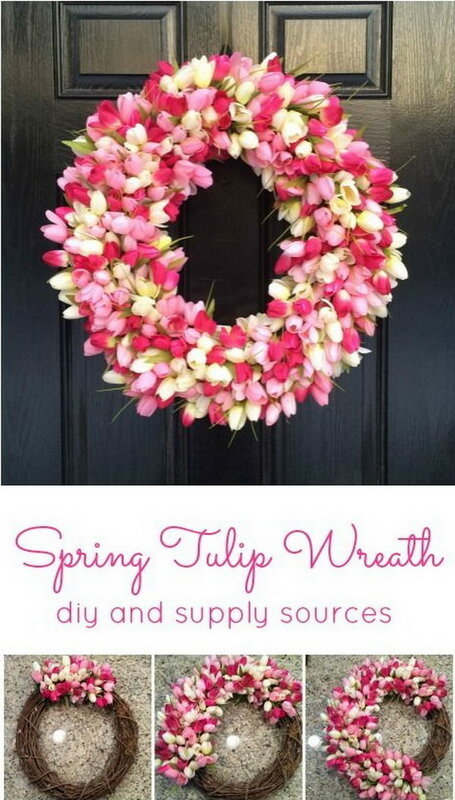 Get the tutorial via triedandtrueblog. 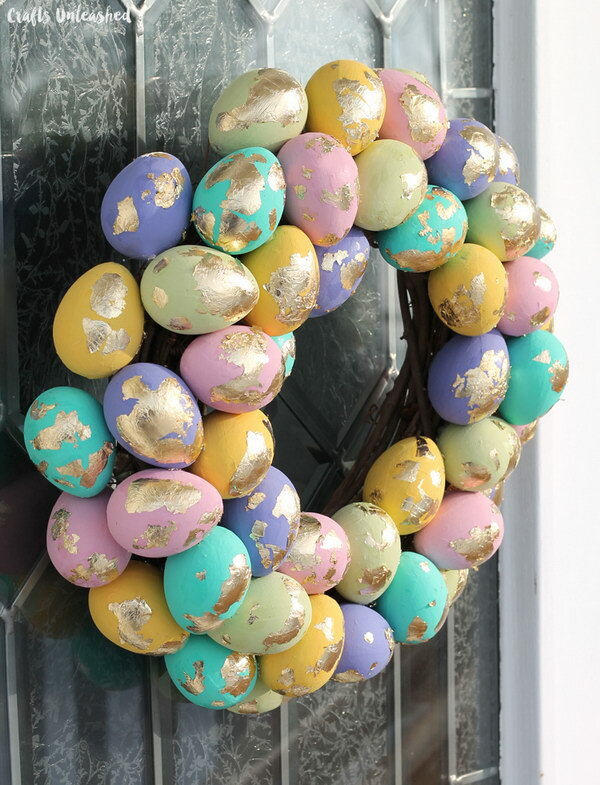 How cute and adorable is this DIY Easter Egg wreath! And it’s both easy and cheap to make! 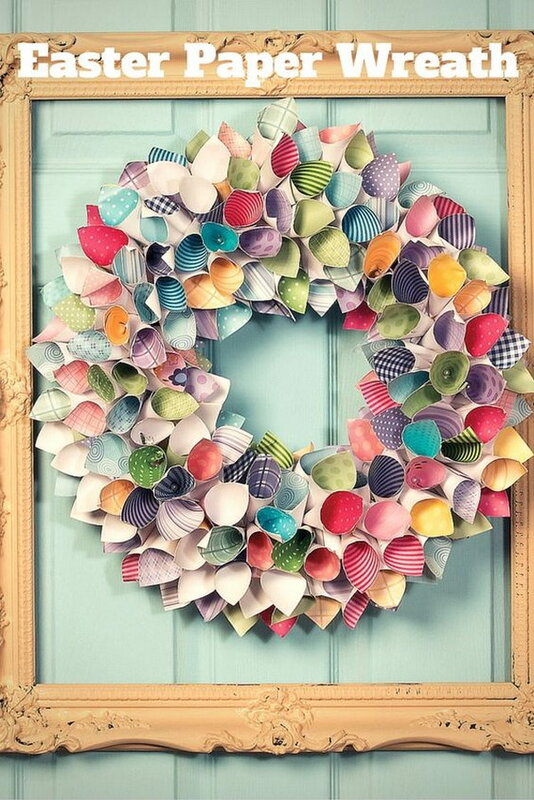 A holiday craft that’s perfect to do with kids. Get the tutorial via thesoccermomblog. 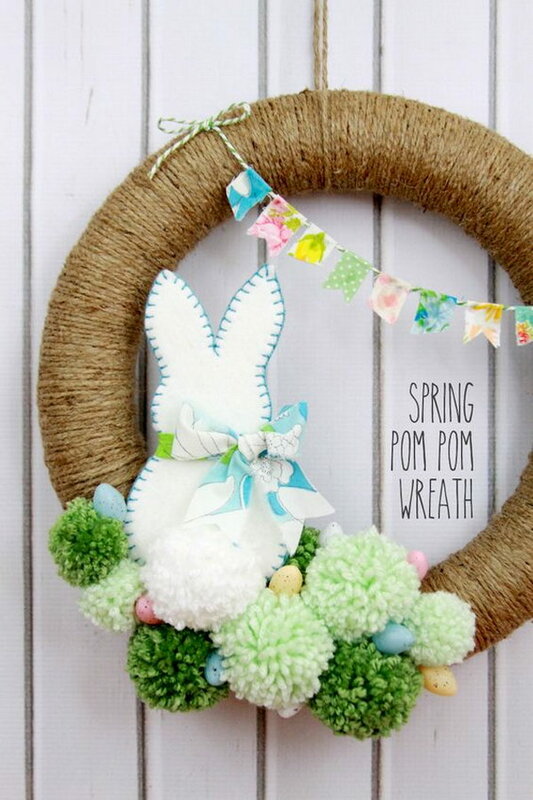 Made from sweet felt Easter bunny, pom poms, mini eggs and a tiny little fabric bunting, this cute spring bunny wreath is the perfect feature for your home. Get the tutorial via lilluna. Get the tutorial via dukemanorfarm. Get the tutorial via thriftyartsygirl. 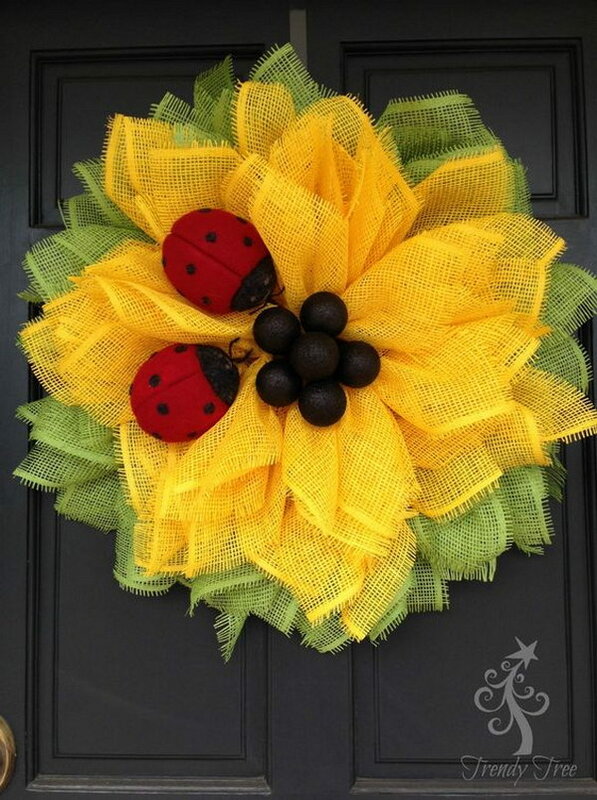 Use deco paper mesh, wool felt ladybugs and box wire wreath frames to make a bright yellow sunflower wreath for your spring door. Get the tutorial via trendytree. 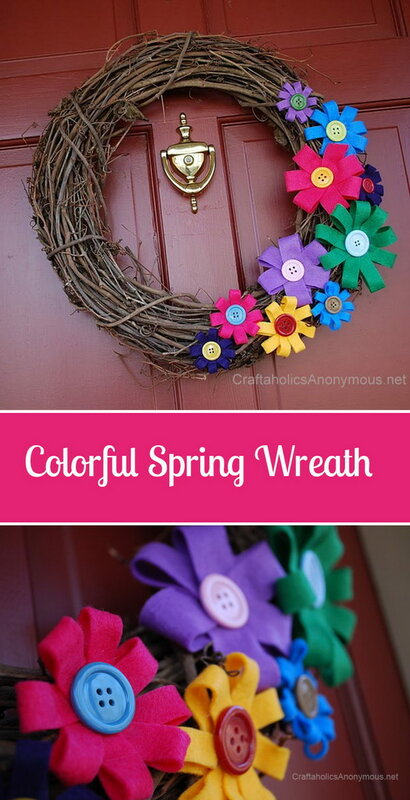 Get the tutorial via consumercrafts. Get the tutorial via wineandglue. 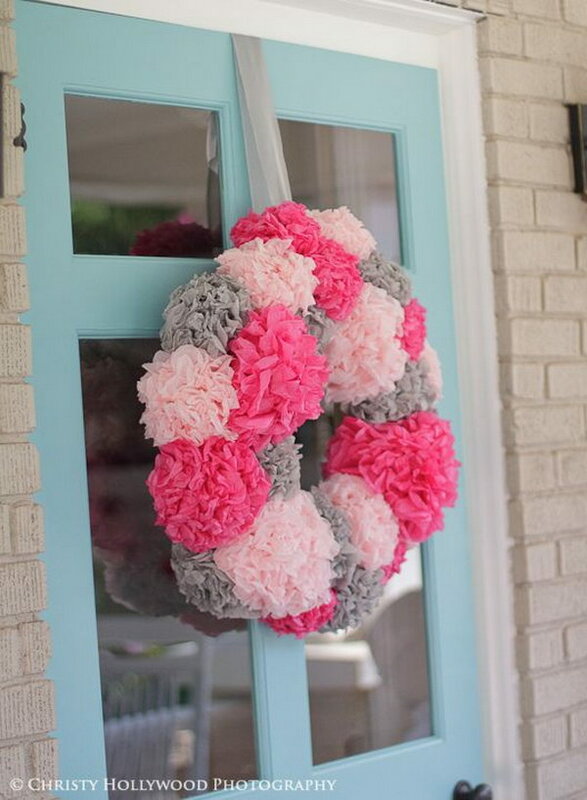 Make this super cute fuzzy chick wreath with chicks, styrofoam wreath, paint and glue. Get the tutorial via designeditor. 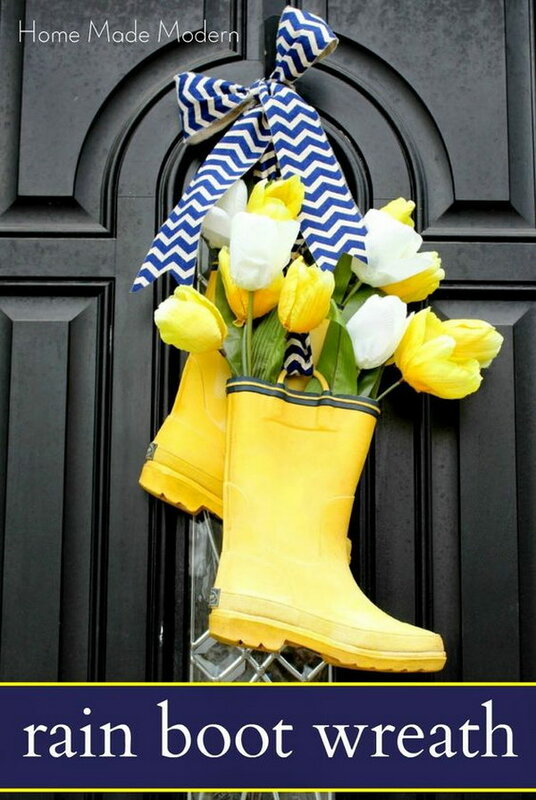 Such a cute idea to use fresh flowers as door decoration, and so easy to make! Get the tutorial via madefrompinterest. Get the tutorial via theresourcefulmama. 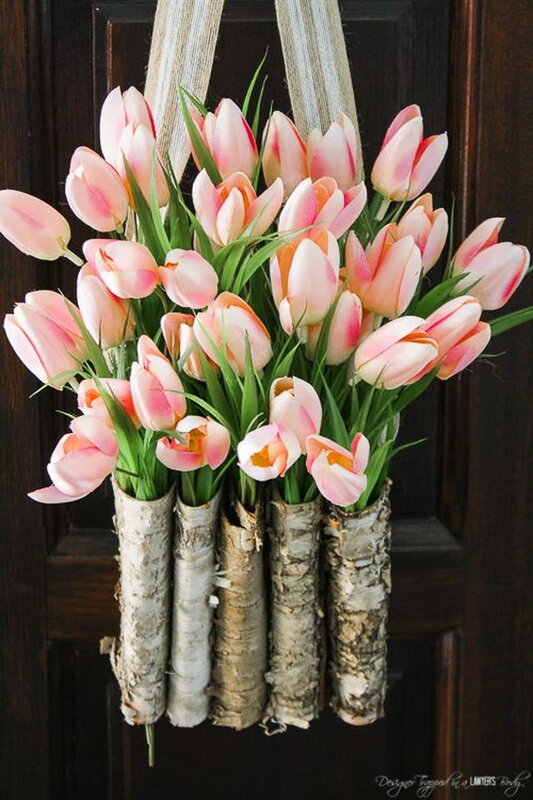 Get the tutorial via homemademodernblog. 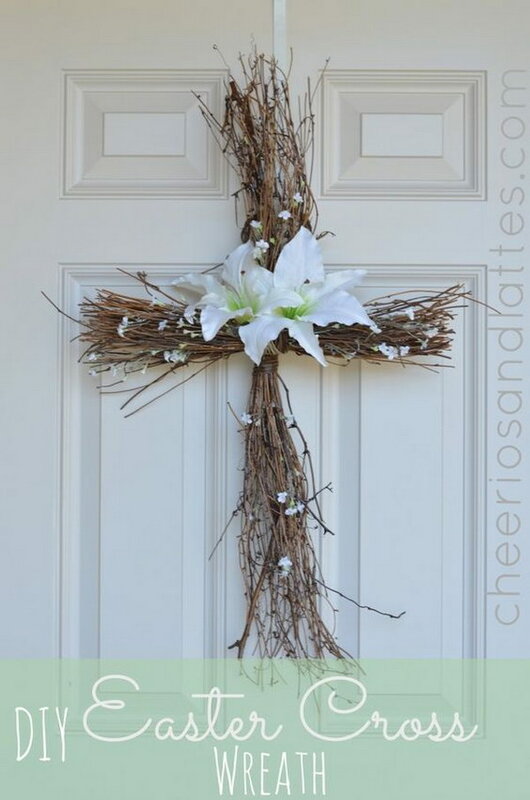 Get the tutorial via homemadeserenity. Get the tutorial via source. Get the tutorial via uptodateinteriors. 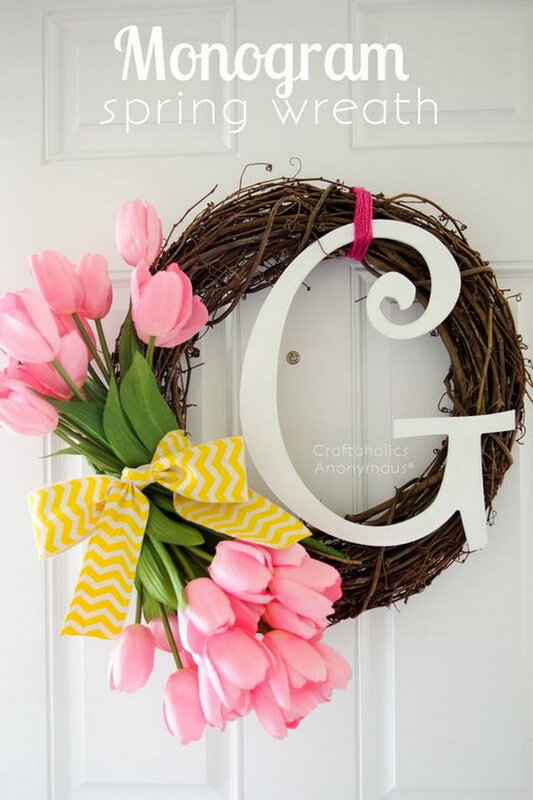 Get the tutorial via craftaholicsanonymous. 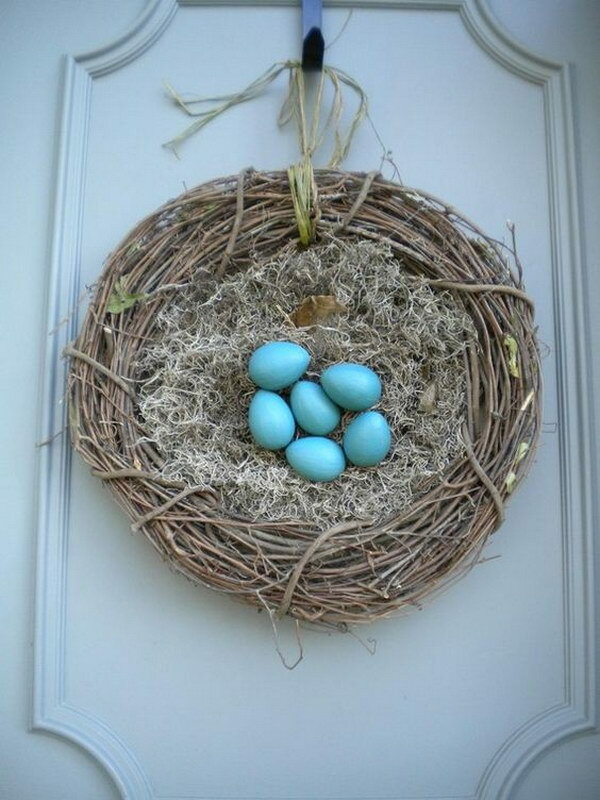 Make a large bird’s nest for your door with a grapevine wreath filled with Spanish moss and blue robin eggs. Get the tutorial via etsy. Get the tutorial via thatswhatchesaid. Get the tutorial via darice. Get the tutorial via polkadotchair. 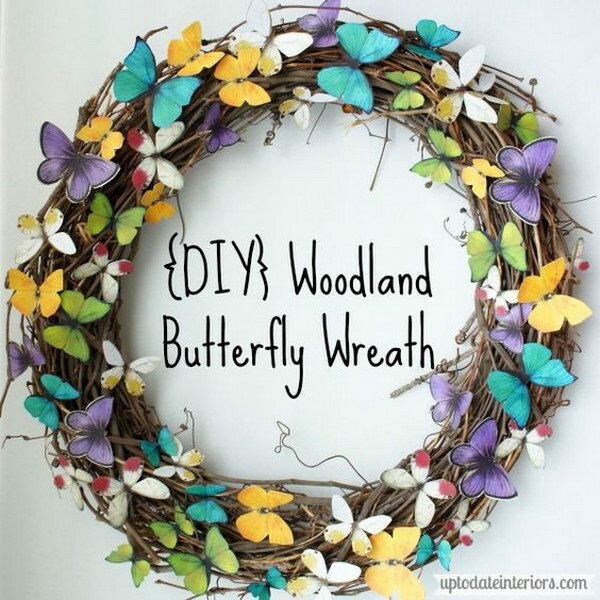 Get the tutorial via ashandcrafts. Get the tutorial via 3littlegreenwoods. Get the tutorial via adiamondinthestuff. Get the tutorial via notey. Get the tutorial via stonegableblog. Get the tutorial via anextraordinaryday. 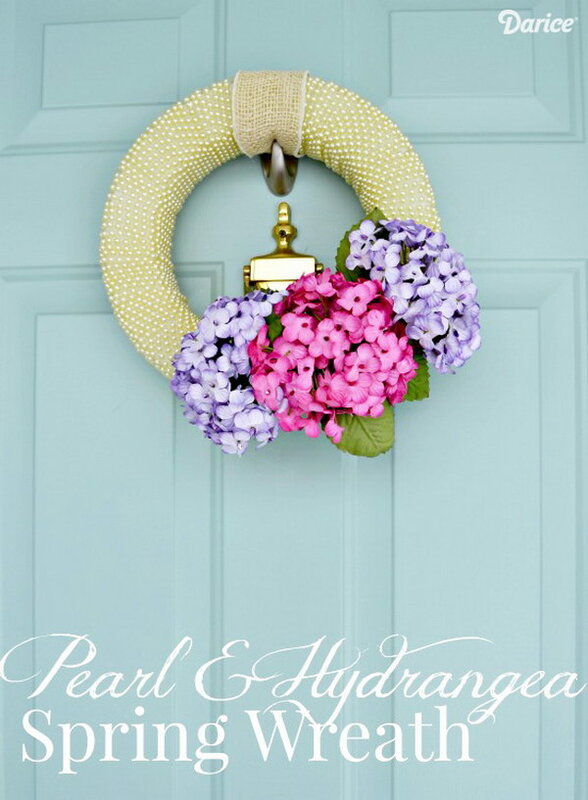 Get the tutorial via thehappyhousie. Get the tutorial via laceandtea. Get the tutorial via livinglocurto. Get the tutorial via u-createcrafts. Get the tutorial via nineandsixteen. 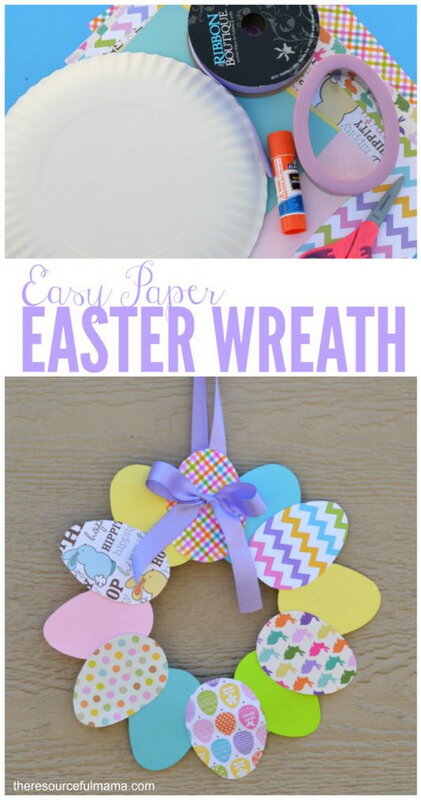 Get the tutorial via michellespartyplanit.